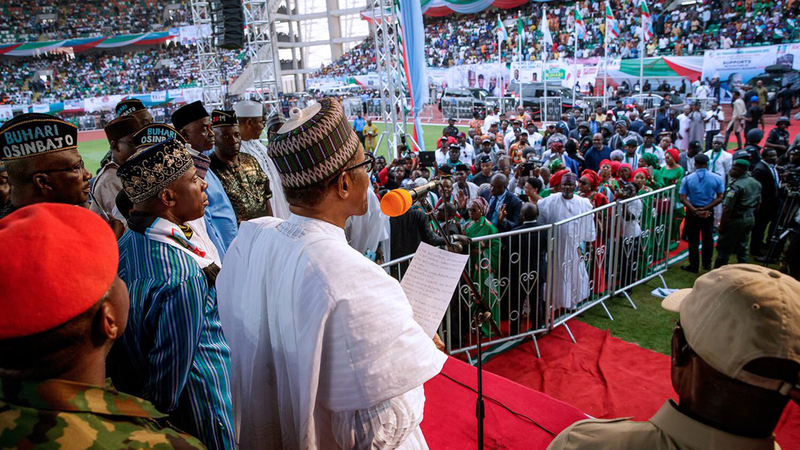 President Buhari Flaging-Off of the APC Ng Presidential Campaign in Akwa-Ibom, presented with the party’s flag as presidential candidate for the 2019 election. With only 35 days to the much-anticipated 2019 general elections, the clear aspiration of citizens for better governance is forcing political gladiators to go back to the drawing board. Like never before, pressure from citizens is spurring accountability demands from the starting point of the political process. The political debate is generating traction with respect to pushing candidates to provide clear and precise answers to the many unanswered governance questions, as well as, the core leadership challenges across the nation. On social media, righteous anger is mixing with online cynicism to push political actors to respond to the real issues of the day. Although the responses from the partisan gladiators have been severely limited in terms of content and context, active citizens, largely dissatisfied with the output from politicians are leveraging on the information revolution to expose the flaws in the Nigerian governance system. Furthermore, think tanks and citizen groups are no longer waiting for politicians to merely rehash half-baked promises. Interventions designed to make these political actors think much more critically about the campaign messages that they put out have raised the bar in terms of generating ideas. A case in point is the Political Parties Discussion Series of the Centre for Democracy and Development (CDD), which couched a host of governance issues into thematic capsules around which party candidates would pitch practical ideas, answer citizens’ questions and have their claims fact-checked in the process. Added to this, innovative media programming leveraging on convergence between traditional and new media, is providing real opportunities to securitise political candidates and the governance ideas they are putting on the table for the electorate to consider. Groups and think tanks making these interventions are not unmindful of the threats of vote buying, electoral violence, misinformation and disinformation, which are all capable of undermining the credibility of the electoral outcomes. The preventive approach has therefore been to keep the politicians very busy with the task of attempting to impress voters with the practical ideas they can possibly generate to address the many challenges citizens face. This is also where key non-partisan initiatives like the recent signing of the Peace Accord by presidential candidates have attempted to inspire commitments by the major parties to think through their words and actions in the campaign season. The framers of such initiatives fully realise that politics is oftentimes a noisy contest of ideas in which opposing sides explore the best possible ways to get the electorate to back their own version of the ideas. However, the peacemakers must have also concluded that it is only when political contestants focus on key issues, and apply their energies to problem solving, that society eventually benefits. Notwithstanding the impacts being recorded as a direct result of these civic interventions, the final weeks of the 2019 campaign have seen political parties return to the toxic campaign style driven by name-calling, the bandying of unsubstantiated allegations, and the use of disinformation. 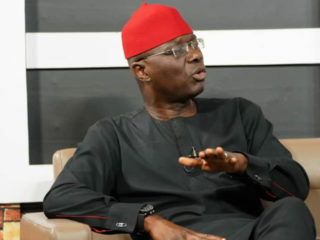 In the last two weeks, the two leading parties, the ruling All Progressives Congress (APC) and the opposition Peoples Democratic Party (PDP) have squabbled often and appear to have lost the resolve to steer the conversation towards issues. The campaigners appear to have returned to the unproductive campaign style of making outlandish and unverifiable claims and counter-claims, which in the main are driven by the desperate push to portray political opponents in unflattering light. Rather than address the core issues of what governance priorities they would focus on if they are voted into power, and how they will generate funds to execute such projects or priorities, the accusatory campaigning style leaves the most important questions unanswered. Hopefully, in the remaining weeks of the campaign, politicians would again be pressured to reset their campaigns to put the spotlight on what would be done to solve problems, not just blow hot air. In the meantime, as interested citizens ruminate on the broad governance ideas, which the candidates and their parties claim to be driving their quest for political power, they are likely to find some information from the different policy documents and pronouncements that have thus far been put forward by the candidates. From security, economy, to job creation, and to the debate on the anti-corruption crusade, as well as, the push for transparency in the management of proceeds from the country’s oil wealth, the candidates have at least put their visions and ways to achieve them in print for citizens to assess. Expectedly, these documents have generated interest and have been the basis on which long-suffering citizens have gone to ask further questions by demanding specifics. Unlike in the run up to 2015, when partisan elements in the opposition got a free rein to making many promises, which could barely be implemented, leading to denials on assuming power, active citizens in the 2019 conversation are not waiting for promises to be dished out without appropriate fact-checking. They are moving a step ahead to make specific demands about the promises being made, the cost implications of implementing such initiatives, and the cost benefit analysis. A robust interrogation of the signature issues driving the candidacy of the major party contenders is therefore currently underway. The result is that across major party platforms, there is circumspection and some level of rethinking to avoid outlandish promises, which could come back to create credibility crisis, assuming any of the platform wins power and is unable to move towards the realisation of what has been promised. The 2019 conversation is even going as far as raising accountability questions, relating to how the incumbent has performed, and how the major opposition candidate seeking to replace him will perform in relation to when the opportunity of being in power, even though as number two presented itself. Although, the problematic issues around the politics of identity, driven by ethnicity, religion and geo-strategic calculations are yet to go away, the resilience of the campaign for competence and an understanding of the core governance issues is a major driving force in the debate around the 2019 campaign season. While it is not yet time for citizens to congratulate themselves that the basis for political accountability in the Nigerian governance system is being laid; notwithstanding the proclivity of politicians to resort to distracting non-issues, they increasingly have to address issues of governance. Voters and those seeking votes are gradually coming to terms with the reality that campaigns without a clear, meticulous and nuanced focus on the demands of citizens, would deliver no good in the end when governance takes the centre stage after the ballot. Some of these developments within the polity are providing context for a robust analysis of the main ideas put forward in the documents of the leading party candidates. AS the incumbent who would have to run on his record in office, President Buhari is seeking re-election on the platform of the ruling APC. He has thus put forward a document encapsulating his governance priorities if voted in for a second term. The economy, as well as, the strategies to tackle the threat of insecurity feature prominently in the document. Known as the Next Level Good: For the Common Man, the document devotes substantial space to initiatives, which Team Buhari would boost job creation and reduce unemployment. The economy has been one of the sticky points in the administration. 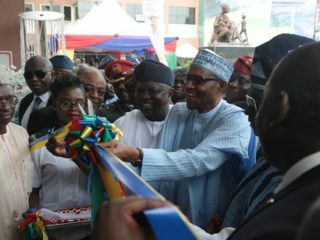 It is therefore not surprising that in presenting his Next Level document, the President sought to drive conversation on what initiatives would be taken on the economy, which suffered serious haemorrhage, partly due to the volatility of oil prices, and the constraints of policy antidotes to address the plight of millions of Nigerians trapped in poverty. Although the administration touts that its slew of social investment programmes targeted 13 million Nigerians in the first instance, the Next Level document is anchoring recovery around the march away from a mono-economy. The document talks about specific plans, which are underway to exploit the comparative advantage of the geopolitical zones and different states by developing six industrial parks and 109 Special Production and Processing Centres (SPPCs) across each senatorial district. Also, the document similarly contains projections to sustain food production and value addition. It notes that the President if given another chance will rev up the current mechanisation policy in agriculture in order to make tractors and processors easily accessible and available for farmers across the country. The document dwells further on the administration’s resolve to continue what it described as the wide-scale training policy, and prioritising technology to reach the demography of young people within the productive sector on a massive scale. According to the President, this is targeted to create jobs and growth within our economy. This particular issue of farmers-herders conflict is one that has tasked this government most in 2018 without the government showing much understanding of the challenge, talk less of dealing with it. It will be interesting post 2019 to see the new level of understanding and solution to the problem. 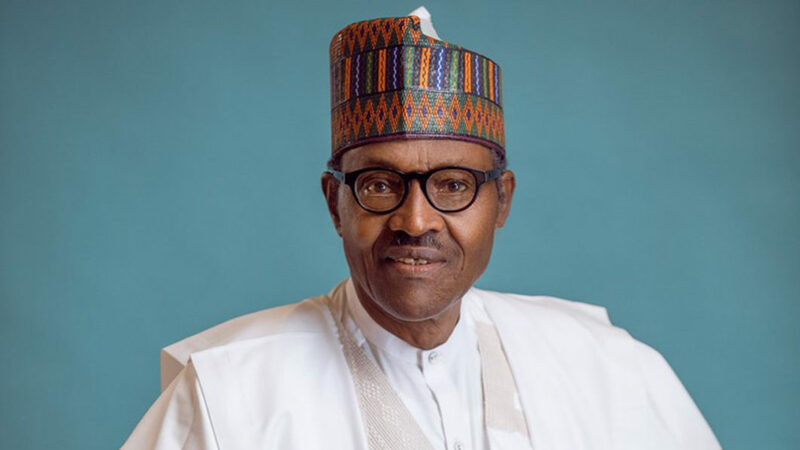 The Buhari Next Level Plan further promises that there would be a comprehensive intervention to create an entrepreneurship bank, as a basis for the financing of initiatives, especially technology start-ups. The implementation of the ongoing “TraderMoni” and Entrepreneurship Bank are being proposed as initiatives to boost start ups, thereby empowering the youth to create jobs and move out of poverty. The document similarly anchors its job creation drive on creating one million N-Power jobs, and building the skills of 10 million Nigerians through a voucher system, in collaboration with the private sector. Other key targets points for job creation, according to the document include, technology and creativity, agriculture, including the Anchor Borrower’s Scheme to provide inputs for one million farmers, as well as, agriculture and mechanisation scheme, which is projected to generate five million jobs. The Home Grown School Feeding Programme, Team Buhari projects, would raise the number of children fed from 9.2 million to 15 million, while creating extra 300, 000 jobs. In this area of school feeding, it is hoped that more pupils will be on board and more transparency in disbursement. On infrastructure, the document talks about the completion of the Second Niger Bridge, and roads being constructed in phases in each of the 36 states, and equally talks of completing the Lagos-Ibadan-Kano rail project, the eastern and the coastal rail. In the power sector, the Next Level document talks of generating additional 1, 000 megawatts power annum, while using off grid power to light up universities, markets and hospitals. In the health sector, the document projects using co-payments to share the cost of health financing between the government, individuals and the private sector, and that 40 per cent of the poor would be exempted from such co-payments. One per cent of the Consolidated Revenue Fund to the health sector, as stipulated in the National Health Act is put forward as a step, which would become the backbone for primary healthcare in the country. In the education sector, the government proposes to train all teachers in digital literacy and remodel 10, 000 schools across the country. 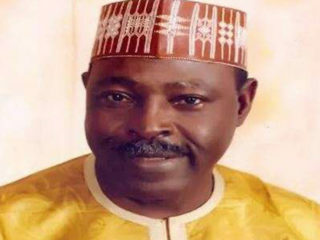 THE major challenger for the position of President, and candidate of the main opposition party, former Vice President Atiku Abubakar of the Peoples Democratic Party (PDP) has also presented his governance strategy document, outlining core issues, which would form the basis of policies and programmes if he were to defeat the incumbent. “With regards to fiscal resources, we recognise the imperative to broaden Nigeria’s resource horizon, maintain spending efficiency and reform internal revenue generating machinery. Economic growth is envisaged to be all-inclusive, accompanied by increased employment and reduced poverty levels as well as a greatly enlarged and much more effective system of education, training and health,” it stated. The recent killing of troops by Boko Haram insurgents, who invaded a military base in the North East, raised renewed questions about Nigeria’s security architecture. In this direction, the Abubakar plan provides some outline on how key challenges would be addressed. The former Vice President promises to tackle the issue of non-cooperation and coordination among security agencies using cutting-edge technologies to minimise duplication of efforts, guard against mishandling of information, while enhancing information sharing. According to the plan, restructuring the entire security sector as well as strengthening peace and security mechanisms, in order to eliminate insecurity in different parts of the country is critical. The document projects that training and re-training of all cadres of security personnel would be mandatory to expose them to trends in contemporary security management. 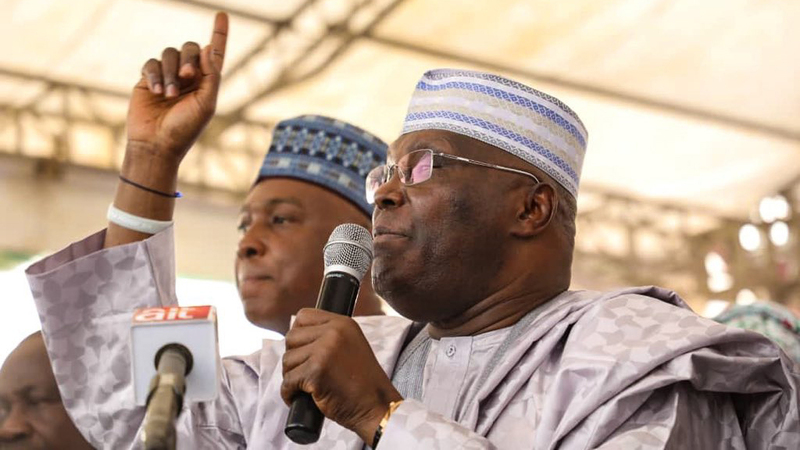 The Atiku Plan further proposes to enact legislation that will protect information providers and the privacy of the information provided, just as it also proposes to commence the gradual process of instituting state police in line with the principle of restructuring; establishing a unified, centralised and coordinated vital registration and security database, where necessary personal data of all residents are stored for national security, economic planning and developmental purposes. The Plan further makes a firm commitment to the promotion of a private sector-driven, competitive and open economy supported by efficiently run public institutions. The document also talks about promoting economic diversification and linkages between agriculture, industry and micro and small enterprises all three of which, it notes, have great prospects for employment generation and poverty reduction. It also notes that the focus on these sectors is intended to achieve significant progress in economic diversification and encourage industrialisation by strengthening the linkages. Still on the economy, the Atiku’s Plan notes that the policy priority, if the former Vice President is elected would be to build a broad-based, dynamic and competitive economy with a GDP of approximately US$900b by 2025. The plan on what an Abubakar government would do if voted in, states that the administration shall act expeditiously to create a supportive and enabling environment for businesses to invest and thrive. It further states that the reform of public institutions to make them stronger, more supportive and effective in facilitating an enhanced private sector access to credit will be prioritised. In the power sector, the Atiku Plan promises reform; it proposes that by 2025, Nigeria shall make giant strides in diversifying its sources of power and delivering up to 20, 000mw. The Plan also states its readiness to deepen monetary and fiscal reforms to promote a stable macro-economic environment. To this end, the ACPN candidate states that an ACPN government shall launch a root and branch reform of all levels and phases of education. “Early Childcare Education, Basic Education, Secondary Education, Special Needs Education and Adult/Informal Education will all be systemically reformed to achieve universal access to quality and relevant education by all Nigerians. Education, training and skills development remain the most potent tools of economic and social mobility in all progressive societies.” She further notes that breaking the vicious circle of poor education is crucial for promoting inclusive economic growth and decent jobs for all. On Nigeria’s out-of-school children, the former minister described the problem as a time bomb already exploding with 13.2 million of them around and still counting. She promised that an ACPN administration under her leadership would tackle the problem, adding that starting from next year, an ACPN administration would quickly move to improve access to education for the out-of-school children. 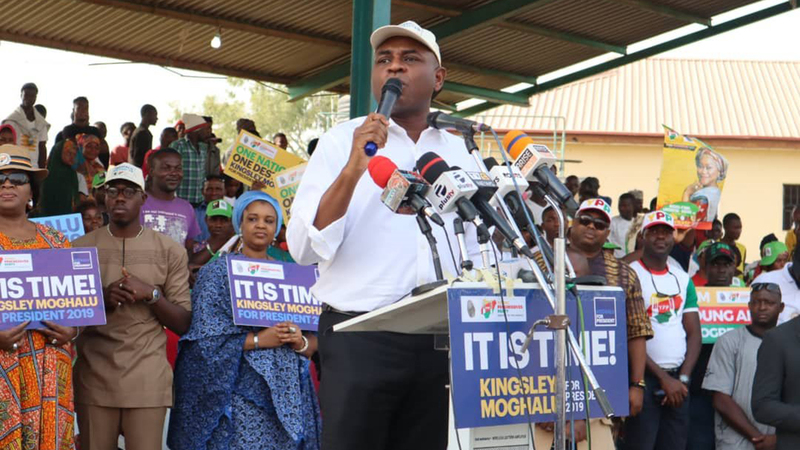 THE former Deputy Governor of the Central Bank of Nigeria, Kingsley Moghalu, who is running on the platform of the YDP, has pledged to establish an economic philosophy from which the country’s economic vision will be derived. The presidential candidate is of the view that such a vision will make clear the respective roles of the state and the market, and its position on capitalism and its various adaptations– entrepreneurial, crony capitalism, state capitalism, and welfare capitalism. According to him, the economic ecosystem will operate and be managed within this framework. As part of this, he proposes to create an enabling environment for an innovation-driven economy through appropriate laws and policy. Moghalu pledged to overhaul the nation’s economic management with the establishment of full-time Council of Economic Advisers, headed by a chairman that will serve as Chief Economic Adviser. He said the council would conduct research and monitor the economy round the clock, just as it will advice the president on actions to take in order to enhance economic growth. According to the YDP candidate, the council, which would be composed of five or six members, will put in place a concrete economic diversification plan by proposing a path to a post-oil future for the country based on emerging global trends. The Moghalu document also stated that to create millions of jobs within a four to five-year period, a YDP government under his leadership would establish a public private partnership venture capital fund to support job-creation, through access to entrepreneurship capital. The plan states that a fund should be established with not less than N500b, with contributions from the Federal Government and private sector funders, and be run on a for-profit basis as a private company by private sector managers. In the area of education, Moghalu promises to design and implement a fundamental overhaul of Nigeria’s educational system to cut the system’s propensity to produce graduates WITH little or no employable skills. The plan proposes a two-track educational system at secondary school level. It suggests that one track would lead to vocational skills training, while the other would lead students to tertiary institutions, which would be reconfigured to produce graduates in applied technology and entrepreneurship. It is hoped that citizens are taking note of these so that whoever takes the mantle of leadership after May 2019 would be held accountable.